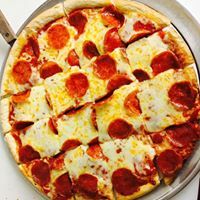 We are a full-service family friendly restaurant, banquet hall, marina, and RV park with 8 acres of shore-front property. Breakfast is served on Sat & Sun. at 6 a.m. 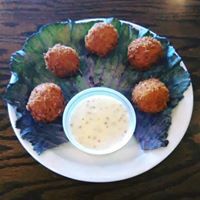 The Port of Blarney has an award-winning chef great cocktail specials and full late night menu. In the summer, catch the Blarney Island shuttle boat service to Blarney Island with ample parking in our 5 acre parking lot. The Port Of Blarney has been completely updated to include a children’s play area and beautiful brick patio and tiki bar for your waterfront dining. 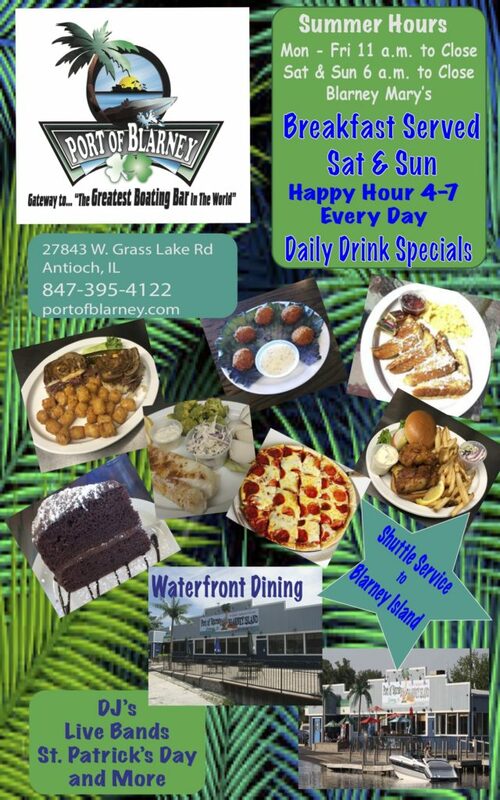 The Port of Blarney provides entertainment every Friday and Saturday night and live acoustic acts on the waterfront patio on Saturday & Sunday afternoons. Our banquet room is also home to many special events including birthday parties, graduation parties, reunions, retirement parties, wedding receptions and rehearsal dinners, business luncheons, funeral luncheons and more. We can accommodate events for up to 200 people. Address: 27843 W. Grass Lake Rd.